Mentha piperita/peppermint belongs to mentha & mamiaceae plant family. It’s a type of aromatic herb. It’s sweet as well as has a strong fragrance, quite preferable for seasoning. This excellent supplier of vitamin C is quite useful for improving your immune system, as well as is good for your skin & blood vessels. To get some relief from the muscle spasms, peppermint is also identified to be quite effective, because of its menthol source. It’s also quite popular for its antibacterial properties. 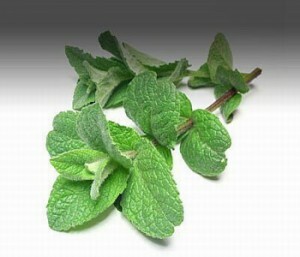 For treating nausea as well as headache indigestion etc mint leave has been found to be quite beneficial. Beta carotenes & vitamin C helps to keep the purity of cell membranes, which reduces the chances of heart ailments, cancer etc. It contains rosmarinic acid, which is able to open the airways & give you some cures from allergic rhinitis, asthma etc. Peppermint is an outstanding source of folic acid which is considered to be quite necessary for improving your cardiovascular system. It’s a great source of fiber (dietary), which helps you to prevent the situations like- hemorrhoids, colon problems, constipation etc. Some necessary minerals found in the herb are potassium, zinc, iron, magnesium, calcium etc. which are also quite essential for maintaining a healthy body. This beta carotene containing herb has also been identified to be effective for improving your eyes as well as found useful for averting acne problem. Mouth irritation or ulceration can also be caused because of the high dose of peppermint concentrated products. In a few cases allergic reaction (like- breathing disorders, face, lip swelling etc) of this herb have been identified.